“What should be stressed is that Fassbinder’s films are slow, their tempo gentle and carefully measured. There’s no rush, even as everything falls apart. Despite the furious speed with which they were made, they are meditative works of art.” Charlie Fox’s 13-part (one for each moon) essay on Fassbinder is pitched to a mordant excess perfectly appropriate for the subject. Greil Marcus proves to be the perfect interviewer for David Thomson—able and eager to follow his trains of thought about every movie being part one big river, the way cinema has deadened our empathy, and the hidden links between Un chien andalou and your television’s remote control—in a sparkling sitdown for the L.A. Review of Books. “It is in control, and if you think you’re in control, then you’re being an idiot! Not a single thing you’ve done has helped, and I’m sorry, I don’t mean to burst your bubble, but the camera hasn’t helped.” David Bordwell salutes how much variety can be found in even the most restrictive premise, by tracing the innovative changes on the “discovered footage” conceit throughout the four Paranormal Activity films. In honor of Anthony Asquith’s 110th birthday, Bristol Silents reprints a 2004 essay by Kelly Robinson on rediscovering the greatness of his silent films, and British cinema in general. Ken Adam’s sketch for the “Dr. Strangelove” war room set. “I had seen the exterior of Fort Knox which was rather dull, art deco. Because you weren’t allowed near the interior, I came up with a design where I stacked gold up 40 feet high and behind a grill and all over the floor, a cathedral of gold, up to 40 feet in height…. [T]hey said ‘it looks like a prison’ but I insisted and said, ‘it’s what I want.’” Steve Karras talks to the great Ken Adam about the horrors of WWII, the freewheeling Bonded ’60s, and the off-putting possessiveness of Stanley Kubrick. Via Movie City News. David Cairns has some brief, admiring thoughts about Ernest Torrence, and how his outsized features (“he appeared to be in close-up even when you could see his feet”) masked a performer capable of playing at any scale. Matthew Dessem explains why Lem Dobbs’s Edward Ford deserves its status as Hollywood’s great unproduced screenplay, and tracks down the real-life inspiration behind the script’s beguilingly optimistic struggling actor. Lalo Schifrin, jazz musician at heart, explains the method behind building suspense with music to the Wall Street Journal’s Marc Myers. From David imprinting on his mother to Lincoln waiting for a vote, Janusz Kaminski explains to Kyle Buchanan the genesis behind eleven of the celebrated shots he’s made in collaboration with Steven Spielberg. “There’s no more opera at the Met/This is Hell/This is fate/But now this is your world and it’s great” At Press Play Jed Mayer notes the strong influence John Carpenter and Alan Howarth’s scores had on a musical genre nearly as critically disreputable (yet frequently brilliant) as his films: Euro disco. “11: Wait to hear back from studios. 12: Wait more. 13: Continue waiting.” Joshua Marston provides NPR with a handy flowchart to getting your motion picture greenlit. 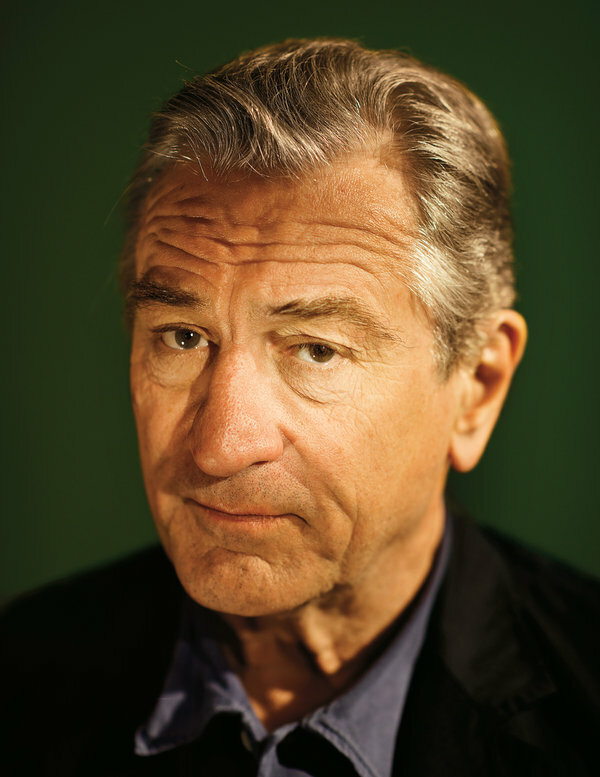 “I was looking at a TV show—a soap opera or some weekly western—and I said if these actors are making a living at it, and they’re not really that good, I can’t do any worse than them.” A. O. Scott’s interview with Robert De Niro is prominently marked as having been “CONDENSED AND EDITED,” presumably a nod to the amount of finessing Scott had to do so that his subject’s notoriously nonresponsive responses flowed like a normal conversation. But even if so, he succeeded. Clothes on Film took note of Julien’s recent Hollywood memorabilia auction for the costumes of course, including one of Judy Garland’s gingham dresses from the Wizard of Oz that sold for half a million. But hunting through the lots shows a wealth of interesting items, including blueprints for Sleeping Beauty’s castle, Bruce Lee’s butterfly sword, and the glasses worn by Michael Caine’s stunt double in the Harry Palmer films, which iconic spectacles some fan snatched up for $1,125. The Retronaut offers a gallery of the angular, surreal sketches of James Dean. After a break of a few weeks, Mark Fertig resumes his countdown of the best neo-noir movie posters, this time with selections 30 to 16, his comments on their design as illuminating as always. Video: Trying to hunt down documentaries on Alfred Hitchcock online? The invaluable Cinephilia & Beyond tumblr has made your search much easier by posting about all of them. Cinema Italian Style, a six-day festival of new Italian cinema, plays through Tuesday at The Uptown. Full schedule here. The conversation comes back around at this month’s Framing Pictures at Northwest Film Forum, and Lincoln on screen (new and old) is on the docket. It begins at 5pm an it is free. More details here.